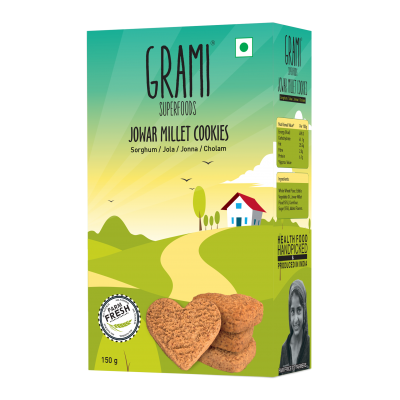 Home / Store / Cookies / 360g Pack / Spice millet cookies (Single serving Pack), 360g. 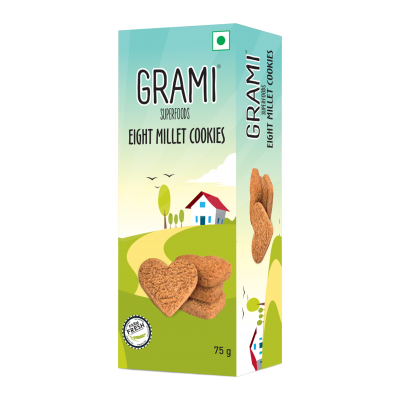 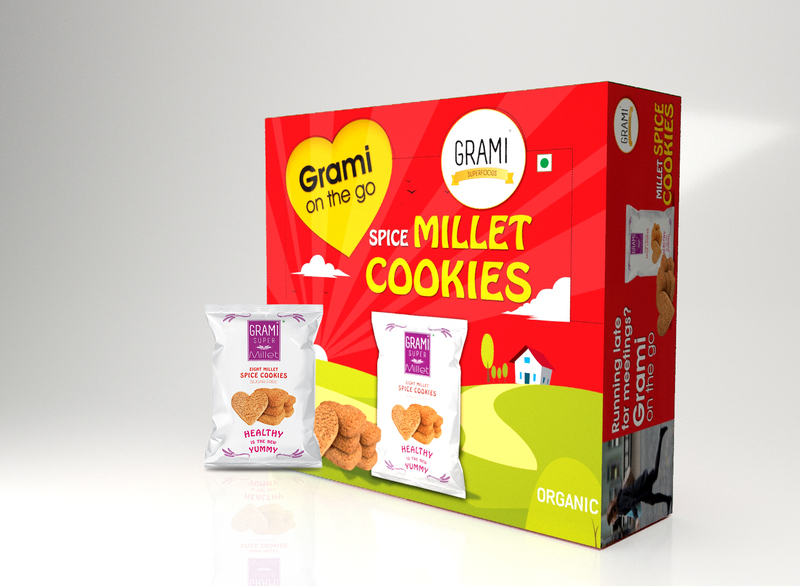 This box consists of 12-mini packs of spice millet cookies each 30g. 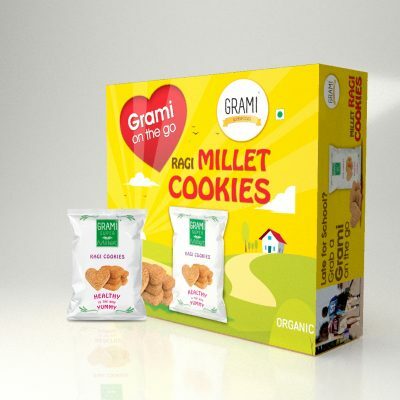 Millets are procured from organic certified farmer federations. 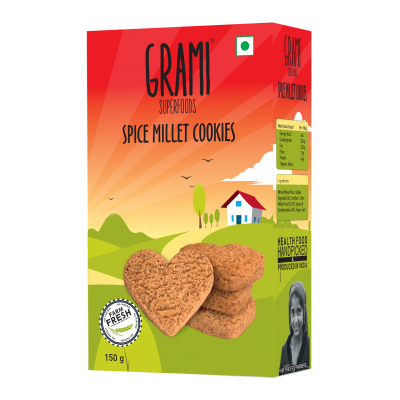 These cookies contains the health benefits of having spices like chilly, coriander, jeera, sesame,etc. 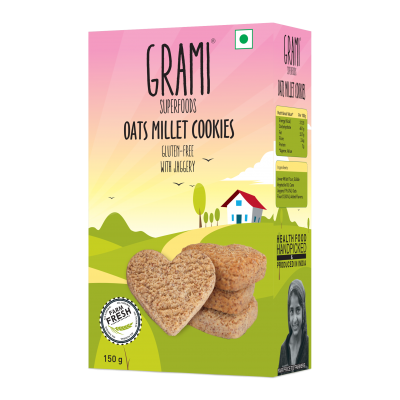 in addition to the millets. 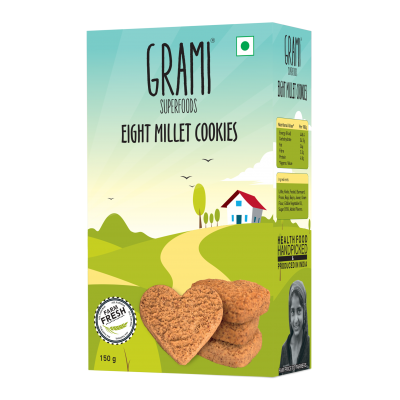 Spice millet cookies especially helps in for smooth digestion and improves the gut health. 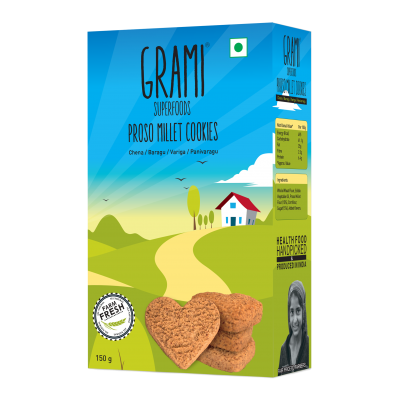 They are also rich in essential oil, phytochemicals and anti-oxidant properties. 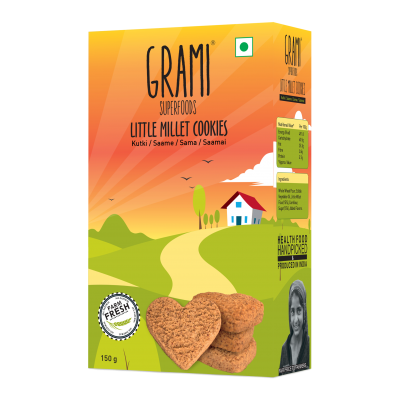 No Baking Powder, No Soda, No Raising agents , No egg.